How many times have you tried to lose weight? Do you find yourself starting over and over again, but always getting derailed? Why does it keep going wrong, year after year? The key to successful weight loss is not just what you do with your body. It is all in your mind. Choosing the right diet and exercise routine is important (and low-carb is definitely easier than other types of diets). But the most perfect plan will fail if you don’t have the right mindset. So instead of obsessing over food choices and buying expensive diet products, let’s take one step back. What are the psychological reasons that might be holding you back? “Come out of the comfort zone” – we all heard this one many times. This cliché is plastered across ‘inspirational’ images of sunrises and gorgeous fit people, cluttering our social media feeds. But what does this really mean? By definition, what lies outside of the comfort zone? That’s right – discomfort. Many of us are pretty bad at dealing with discomfort. That’s why there is always demand for “magic” diet products to make you thin/beautiful/young again – without any effort required. We buy into these promises. We really want to believe we can change without doing any work. Or feeling any discomfort. I wish this was true – but it just isn’t. I think we all try too hard to minimise our discomfort during weight loss. Can I be on low-carb and still eat bread and sweets? Can I lose weight without ever feeling hungry? Can I just do a PowerPlate session instead of running and weight-lifting? Stop fighting discomfort. Embrace it. Discomfort means you are outside of your comfort zone. Real change is beginning. Keep pushing yourself in that direction – toward discomfort, not away from it. You will soon find that it isn’t as bad as you feared! Hunger pangs and sugar cravings eventually dissipate. Exercise becomes enjoyable. The whole process gets easier and easier, the longer you stay on the path. Visualisation is supposed to be good for motivation. Imagine yourself thin and fit, and focus on that image. But what if you are very far from that ideal now? Then it can be depressing, instead of inspirational. A related issue is expecting instant results from your change programme. Successful body transformation happens over months or even years of persistent effort. 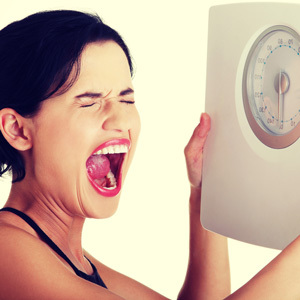 The safe recommended rate of weight loss is maximum 1 pound a week – roughly equivalent to 3,500 calories. If you are looking to lose 30 pounds of weight, it will take at least 30 weeks – that’s over 6 months. So calculate how long it will take you to reach your goal weight. Commit to going that full distance, day after day, with persistence and determination. Once you stop expecting instant dream body, you will notice the real immediate benefits of proper diet and exercise. Such as feeling better overall and having more energy. This process is a marathon, not a sprint. So get ready. We are all the creatures of habit. Most of our day-to-day actions are driven by habits rather than by conscious thought. Some of these habits can be detrimental. It takes a lot of effort to reverse your existing habits. But it is possible. Analyse your typical activities and identify the culprits. Awareness is the first step in turning your bad habits into good ones. The good news is, the same mechanism will also eventually work in your favour. Once you develop good habits (like taking regular exercise or logging your food), you can ride on them effortlessly. 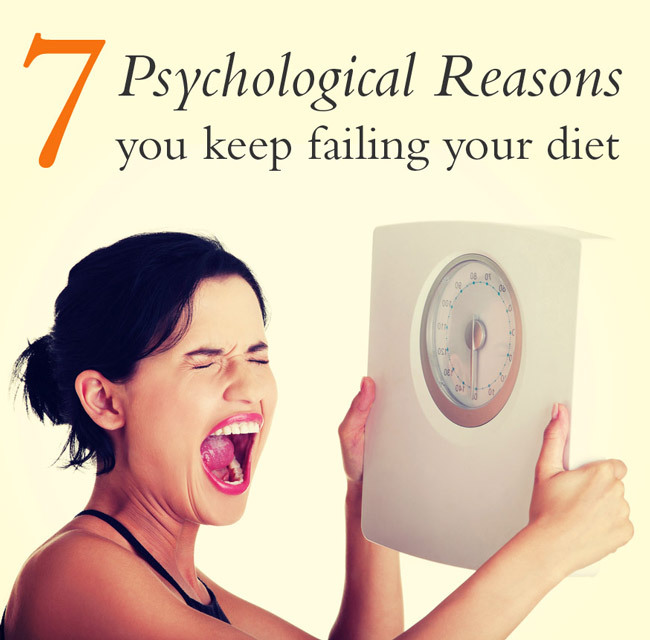 If you failed a diet before, you need to figure out what went wrong. Doing the same thing over and over again, and expecting a different outcome, is one of the definitions of insanity! So think about your past experiences. Decide how you can change your approach so that’s you don’t fall into the same trap again. Your previous diet might have been the wrong one for you. So try one with a different approach. If you tried a ketogenic low-carb diet or Dukan and found it too hard, try a less dramatic plan such as South Beach or Zone diet. It’s better to lose weight at a slower rate on an easier diet, than to go hard-core and fall off the wagon a week later! Your exercise programme might have been too easy. You do need to push yourself a little bit and move more than you used to. But if you do too much, you might burn out quickly and give up. So find the right balance. If you don’t log everything you eat, you are likely to be underestimating your carbs and calories. Get a tracker app or just use pen and paper to track everything. Be brutally honest with yourself! If you think you did everything right but it was just too hard, you need to work on your self-discipline. Guess what – most of us do. But don’t let that hold you back. Self-discipline can be improved. If it is the root of your failures, then you should find out how. Self-discipline can be developed just like a muscle. The more you use and exercise it, the stronger it will get. If you don’t exercise it, it will always stay weak. You could find the most perfect diet and exercise plan. But without self-discipline, your best plans will crumble away into dust. Once again, you will get nowhere. Self-discipline is the most important factor for any kind of change or achievement in life. Make it into a separate goal and find ways to tackle it. There are many books on developing willpower and online resources that can help you with this process. This point doesn’t apply to everyone, but is quite common. Losing weight and becoming fit and healthy are worthy goals. But remember – there are also more important things in life. You might need to prioritise other issues. That kind of pressure is just not fair. Give yourself a break – stop judging yourself so hard! Wait until you are a bit more settled before attempting any major lifestyle change – on top of the huge one that has just happened! Another bad place to start is if you are suffering from depression, anxiety or self-esteem issues. Feeling insecure about your body often goes hand in hand. If this sounds like you, then you must address those underlying problems first. You will never succeed with superficial changes while these demons are lurking underneath. Trying to diet in those circumstances is not only doomed to fail, but is likely to make you feel worse overall. My advice would be to get professional help. Concentrate on getting to a better place psychologically as your first priority. Consider counselling, hypnotherapy, or try self-help books . Let’s face it – we’ve all been here many times before. Trying hard to change but failing. Every time you fail, you lose a bit of faith. Next time you try, you are a little bit less hopeful. If you’ve tried many times, deep down you might have stopped believing that change is possible. But this is not true! Anyone can change, and that’s a fact. The internet is full of amazing success stories. Some of them happened after many failed initial attempts. So decide that this is the year you will finally succeed! Seek new information and advice. Get inspiration from other people’s transformation stories. Focus on your change process every day and truly commit to it for the long-term. Embrace discomfort and develop your self-discipline. Above all – believe in yourself and don’t give up!